Home prices tracked up in the latest S&P CoreLogic/Case-Shiller Indices, up 6.2 percent year-over-year in September, compared to 5.9 percent in August. Conditions as they are are prompting the rise. The S&P CoreLogic Case-Shiller U.S. National Home Price NSA Index’s 10-City Composite rose 5.7 percent year-over-year, up from 5.2 percent in August, while its 20-City Composite rose 6.2 percent year-over-year, up from 5.8 percent in August. Month-over-month, the 10-City Composite and the 20-City Composite both rose, 0.5 percent and 0.4 percent, respectively. Of the 20 cities analyzed, Las Vegas, Nev., San Diego, Calif., and Seattle, Wash., came out on top, with prices up 9.0 percent year-over-year in Las Vegas, 8.2 percent in San Diego and 12.9 percent in Seattle. 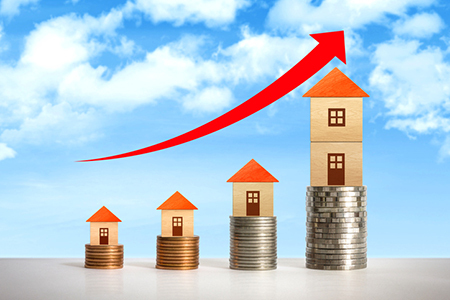 “Home prices, after multiple years of fast growth, still show no signs of cooling because of the ongoing housing shortage in much of the country,” said Lawrence Yun, chief economist of the National Association of REALTORS® (NAR), in a statement on the Indices. “The latest Case-Shiller price growth of 6.2 percent on a nationwide basis marks the strongest rise in over three years. This fast appreciation over income growth is not sustainable over many years.